We are pleased to announce that we have released improvements to the Mendability experience for all users. We have designed it so it puts less demand on your time, and makes it easier for you to adopt a sensory enriched way of living. One of the biggest realizations recently was that families who are having the most success are those who find ways to blend Sensory Enrichment therapy into their daily lives. 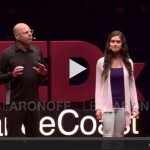 Instead of interrupting their schedule 6 times a day to do therapy, they do the protocols while doing something else that is also a sensory-rich moment. For example, a mom told me last week that instead of just giving a hug to her child, she does a hug+smell. Another mom, instead of just presenting food on a plate, she sits next to him, talks to him about the ingredients and finds something to smell. For this reason, instead of an arbitrary list of protocols to do multiple times a day, now we have one Sensory Enrichment Foundation area. Inside it you will find examples of activities to do during the day to build an environment around your child that will accelerate his rate of improvement. On days when you need to worry less about therapy, you can slide the “worksheet” toward “Easier”. On days when you are doing really well and you want to push a little harder, slide it all the way toward “Stronger” for additional exercises. Now you can adjust the number of exercises you feel comfortable with. Of course, more therapy done more regularly is good. But Sensory Enrichment therapy works better when you focus on doing fewer exercises better, than on tons of therapy done under stress. 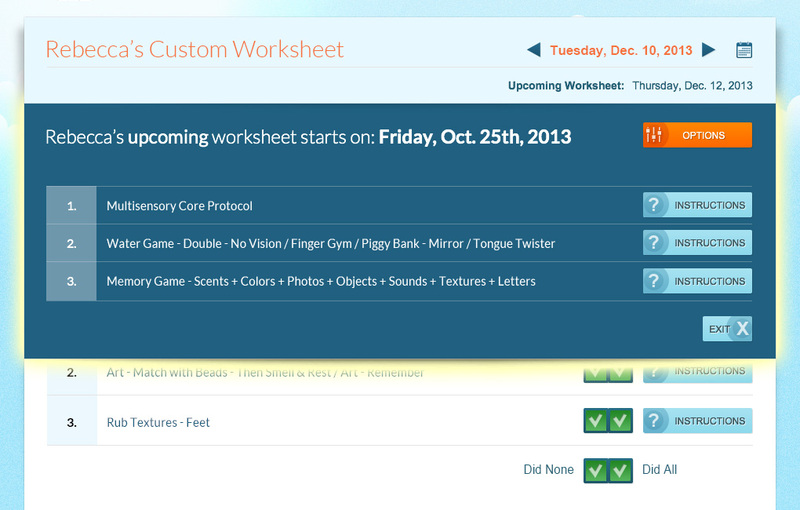 What’s coming on the next worksheet? What new knick-knack’s will you need to get together? 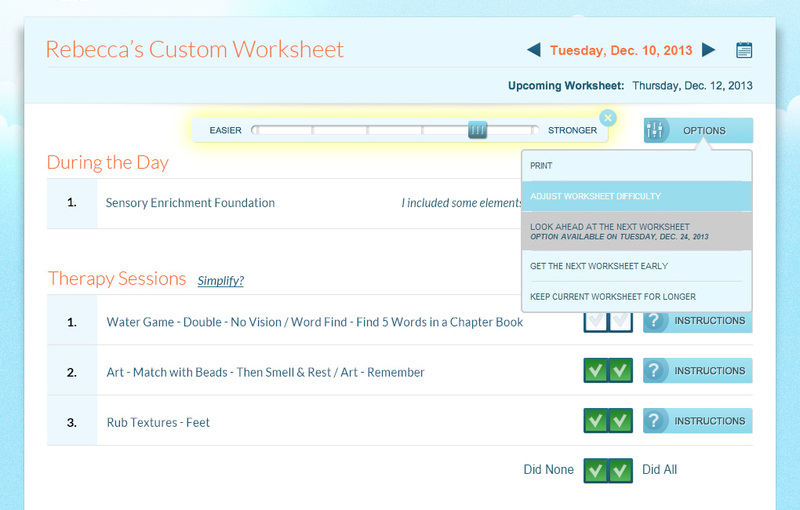 Now you can do a quick progress report and generate a preview of your next worksheet ahead of time. Mendability is now simpler than ever to do at home. With Mendability you can get all the benefits of Sensory Enrichment therapy and help your child overcome his/her challenges.